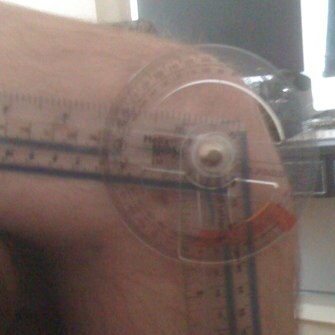 All very disappointing considering my knee was fine pre-op and such complications were never explained fully. But I am still glad I underwent the procedure and the knee issues are a small price to pay now that my leg is the correct length once again. So where now? I have continuing physio and an appointment with my consultant at the end of May. If a further operation is the only option I will probably delay it until after the summer in the hope that, as my leg gets stronger, I can get it to bend further on my own. I don’t fancy an op just before the summer which may have me back on crutches and would affect holiday plans! If I have not regained full movement after 6mths then I guess I have little option but to agree to a further op to get the knee bend fixed. As it is now, I can negotiate stairs without too much difficulty. I can’t kneel down and as I found out this week, a theatre seat where room is limited is extremely uncomfortable to the point of pain. But I do want to regain the full movement, I want to be able to ride a bike again and so there is still a very long way still to go. You might want to investigate getting shorter crank arms for your bike. They allow the knee to have to bent as much. This might allow you to build up your range of motion. I haven’t actually tried yet. It may be that I can manage it by raising the seat but i doubt it. I’ll dig the bike out of the shed and see. I hadn’t even considered such a thing as shorter crank arms so thanks! Hi Laura. Firstly, very sorry to hear of your accident. I’m a motorcyclist myself but can’t imagine how shocking it must be to have an ilizarov thrust upon you without any preparation. i had months to research the subject and prepare beforehand. I too was was surprised to find that my knee’s range of movement was so restricted when the frame came off but have no fear, it will return in time. Hydrotherapy is great and you’ll make rapid progress once you start that and physio. I’m still working to regain full knee movement but mine was complicated by the leg lengthening procedure. The muscles take a lot longer to grow and adapt but I’m 75% of the way there and improving all the time. Please feel free to email or post here if you need to sound off or ask advice, more than happy to help. I got behind the wheel as soon as I could bend it enough to get in! I had the seat as far back as possible and it wasn’t ideal but I was desperate to drive again after 9mths. Was quite some time before I could use an exercise bike, found rowing was good exercise. I never had any major issues with swelling but did take some paracetamol when I had a bad ache, normally after physio had been bending it! Don’t try to push yourself too soon, it all takes time and if you push too hard you risk making it worse. Do the exercises but be gentle! Thanks for the advice!I miss work and want to get back and pay is already at half and will go cometely in 2 months time so I’m kind of pressurising myself to get bend back and drive asap but I now understand my body will take time and 5 months in a frame can’t be fixed in a week!wish it could though! Good news you drove so soon, I hope to swell! Swelling is only around knee but looks nasty!leg doesn’t look anything like the other one lol never was a girlie skirt girl but legs not fit for skirts now! Weaning off it now and that seems fine!finding it difficult to sleep though as previously was on back and now joInts ache!positive thing is though cage helped me to go from 15 to 11 stone so that’s all good! hope things are looking good for you! Crikey, yes I can understand why you want to get back to work, I’m very lucky as I work from home so that was one pressure I never had. Coming off the drugs was the hardest thing but I didn’t attempt that until the pain had stopped. Then I stopped taking Tramadol first and then the Morphine. That was very hard, instead of reducing slowly I stopped it dead. The withdrawal effects were awful, terrible shaking and sweating etc, lasted 10 days before it began to ease off. Looking back, the drug withdrawal was the worst part of it all. I’d have the op again tomorrow, even knowing how bad it was at times, but I wouldn’t want to repeat the withdrawal ever again! How are you doing?I’ve started hydro which was fun but tough and didn’t realise Joe heavy legs would feel when I stepped out of water or how tired I’d be!up to 100 degrees on bend needles though lol new thing is a cracking noise upon bending – not quite sure what that is!I wasn’t on morphine only when in hospital, tried to reduce tramadol whilst cage was on not a good idea, so am now reducing whilst not in as much pain, down from 200mg to 50mg now then next week plan to finish…..yeah!!!! !